BMW is currently in the final stage of preparing the new X7 Sports Activity Coupe for the world market. While the largest and most luxurious BMW SUV to date will officially be unveiled this Fall at the Los Angeles Auto Show, the Bavarians are hard at work to outline a marketing plan for what we believe is the most important X product since the introduction of the first X5. 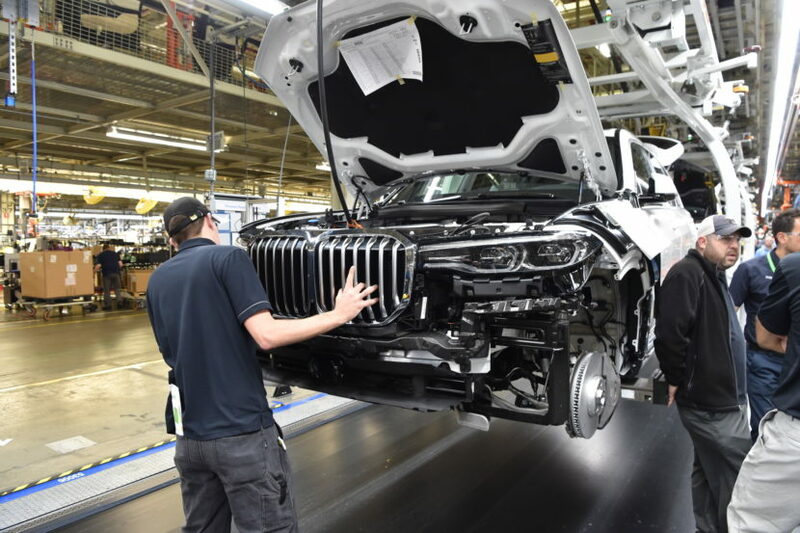 Production of the first pre-production models of the new BMW X7 Sports Activity Vehicle has begun at the Spartanburg plant in South Carolina so the company is also likely to offer some early customer and media previews in the upcoming months. After its auto show and online debut in November, BMW will host the market launch in early 2018 when the first test drives are expected to take place as well. Designed to compete with cars like the Mercedes-Benz GLS-Class and Land Rover Autobiography, the BMW X7 will be a large, three-row luxury SUV. It will also serve as the brand’s luxury flagship, with luxury and technology at 7 Series levels and higher. On the outside, as the render shows here, the front-end will be dominated by a larger than usual kidney grille, paired with lots of chrome elements and slim-designed laser headlights. Two large air intakes will remind us of the grandiosity of this luxury SUV while the side view emphasizes the spaciousness found inside the cabin. Even though not shown here, out back, the X7 also sports really narrow taillights, with a chrome bar running along its boot. While there will be a few different powertrains available for the BMW X7, the most popular one will likely be the X7 xDrive50i, which comes with a 4.4 liter twin-turbocharged V8 engine. That twin-turbo V8 will come with 340 kW (455 hp), according to this spec sheet. That’s to be expected, though, as this engine is quite ubiquitous. Still, though, that’s a hefty amount of power for a non-M model SUV. 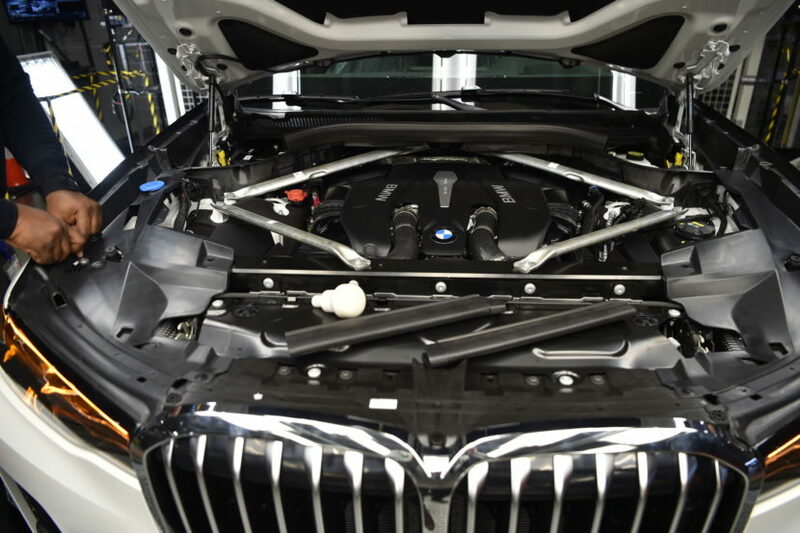 That engine will be mated to an eight-speed automatic, of course, and power all four wheels, via xDrive. 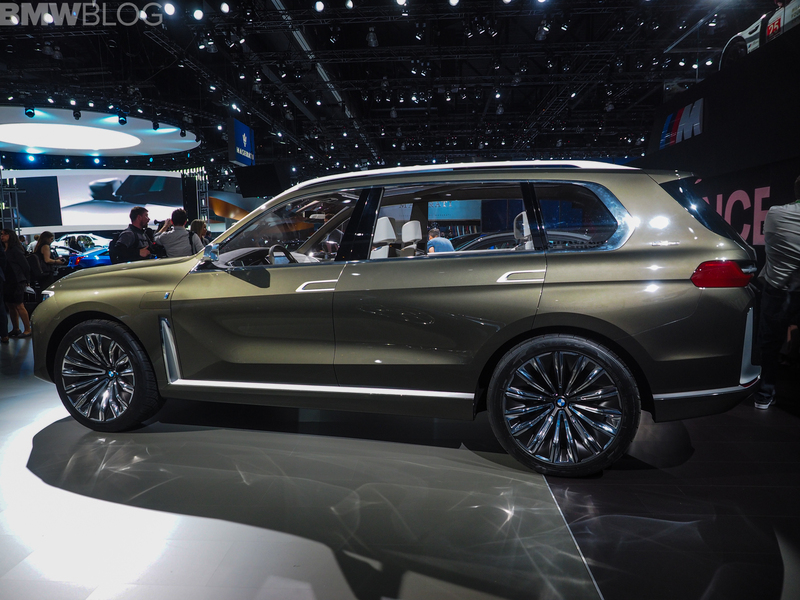 The BMW X7 will be primarily aimed at the U.S. and China and it will cost more than $100,000 but will not top the $200,000 mark even when fully equipped.